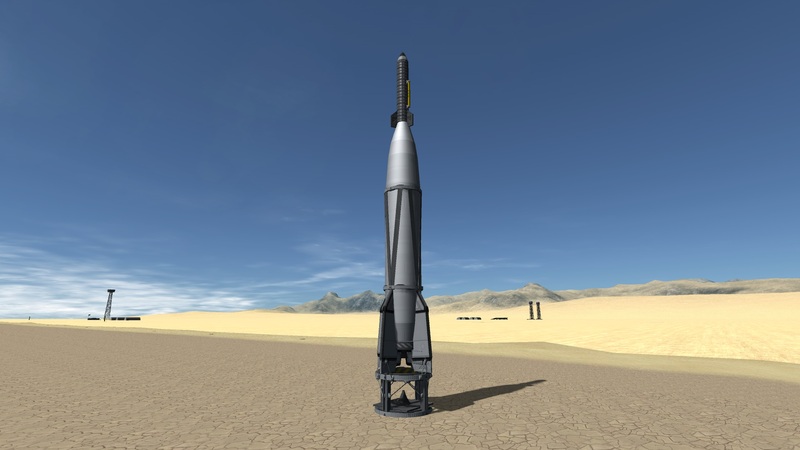 This is my new project where I'm using ksp 1.6.0 with Making History to replicate a whole host of space craft from the space race era starting at the V2 Rocket and finishing with post Apollo missions like Skylab. The V-2 was the world's first long-range guided ballistic missile. The missile was developed during WWII in Germany as a vengeance weapon. But it was also the first man made object to reach space. This craft has no action groups all you do is launch and lean in the direction you want to go in. Note that some of the fuel has been removed. If you want to increase it's range just top up the fuel in the VAB. The V-2 Sounding Rocket would be launched into the upper atmosphere, collect some data then return it safely by ejecting a canister at about the apex of its trajectory. Blossom variants sent chimps into space. 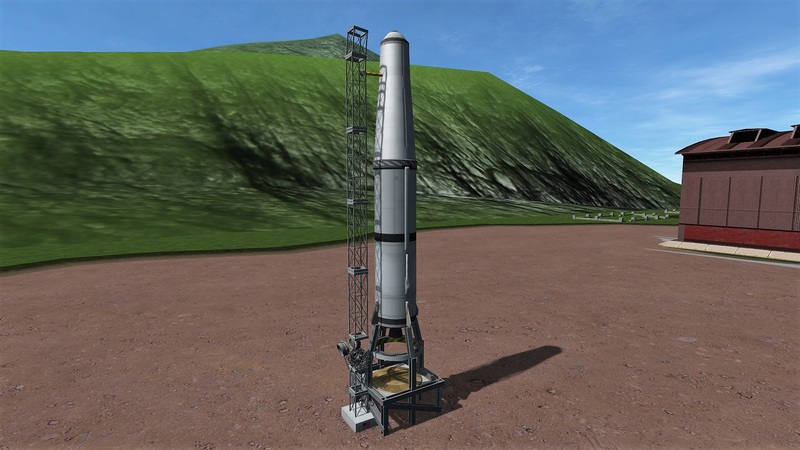 This rocket is the same as the V-2 except for an added returnable science canister, just stage when you'd like it to deploy. This Rocket was another V-2 but this time it had a WAC corporal on top to test second staging. Use this rocket to see how high or far you can go. The R-2 was Russia's attempt to improve on the V-2's design. It also has a detachable nose cone. This is a good rocket for learning when the best moment to deploy a warhead from a ballistic missile is. The R-2A had science modules in the nose and attached to the sides of the rocket. This rocket took dogs up to about 200km altitude before returning them in the detachable nose cone. This rocket is still the same setup as the R-2 except you want to remember to Stage the rocket when the fuel runs out and, of course, remember to use the parachute. Redstone was America's first large rocket. It was often used to test equipment for newer missiles and would later launch the first American into space. This rocket still flies the same as the previous ones but comes with more control over the warhead after separation. You don't need RCS to fly this craft but it is designed to use it. Thor was deployed by America in the United Kingdom as an IRBM that had thermonuclear warheads. It's a little beefier than the first few rockets but it still flies the same. The Jupiter rocket was the first nuclear tipped, MRBM of the USAF. Jupiter had a short, squat shape as it was intended to be able to fit into naval submarines. I'm not 100% sure but I believe the nosecone had a small engine so I've included one to help fine tune the trajectory. When Russia built the R-7 rocket they realised they had the capability to launch spacecraft into orbit. Sputnik was launched soon after and become the first artificial satellite. 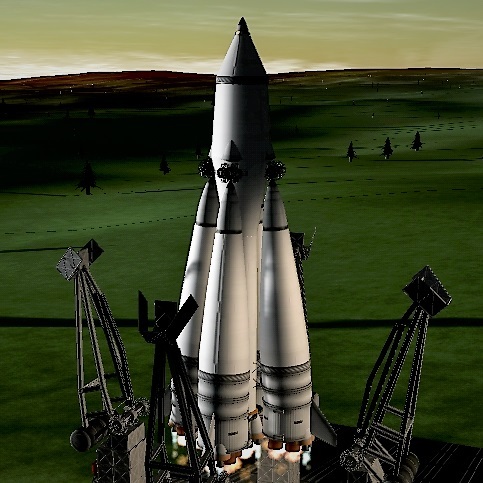 Just remember that my version of the Korolev Cross is a manual two stage. If you are worried about space bar timeout you can use action group 1 for the second part of the separation. Action group 3 extends the antennas. Also if your pc is a little slow just remove the launchpad support booms, they take up half the parts. Sputnik 2 was the second spacecraft launched into Earth orbit, on 3 November 1957, and the first to carry a living animal, a dag named Laika, who died a few hours after launch. 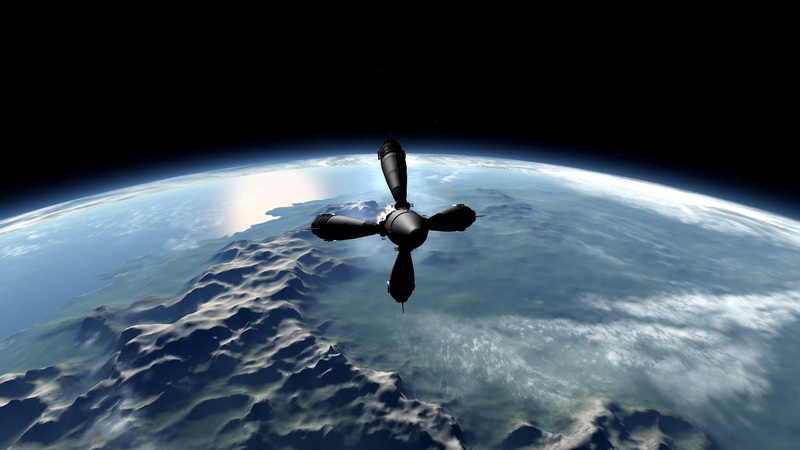 Sputnik 2 flies just like Sputnik 1 all you need to do is get apoapsis between 70 and 200 km then burn all of the fuel, job done. If you would like a realistic re-entry leave the apoapsis just below 70km. Vanguard 1 was the fourth artificial Earth orbital satellite to be successfully launched. It was the first to use solar panels to extend it's lifespan and is the oldest satellite still in orbit today even though it no longer functions. Luna 1 was the first spacecraft to reach the vicinity of the Earth's Moon, and the first spacecraft to be placed in heliocentric orbit. Luna 2 was the first spacecraft to reach the surface of the Moon, and the first man-made object to land on another celestial body. Vostok 1 was the first manned spaceflight in history, it was launched with Yuri Gagarin on board. The craft is really just an update of my original Vostok 1 with Making history parts. Mercury-Redstone 3, or Freedom 7, was the first United States human spaceflight, piloted by astronaut Alan Shepard. Mercury-Altas 6, or Friendship 7, was the first United States orbital human spaceflight, piloted by astronaut John Glenn. The Ranger Program features a few space craft but they can come in three main types, Block 1, 2 & 3. I has also added Mariner 2 to complement the set. The main thing to note is when using the Block 2, you must use action group 3 before separating from the Agena or the antenna will explode. The Voskhod spacecraft could either send up two cosmonauts capable of performing space walks or three suitless cosmonauts.